While much of Poland is still catching up to the fact that Katowice is fast emerging as Poland’s preeminent music destination, locals and international music festival attendees have known it for years. On December 11, 2015, Katowice’s musical prowess and cultural status was certified by none other than UNESCO itself as it was officially made a UNESCO City of Music as part of the UNESCO Creative Cities initiative. 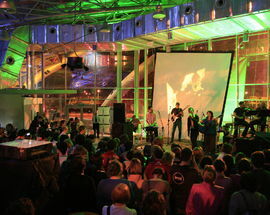 In honour of this prestigious distinction IYP explores Katowice’s multi-genre musical pedigree. 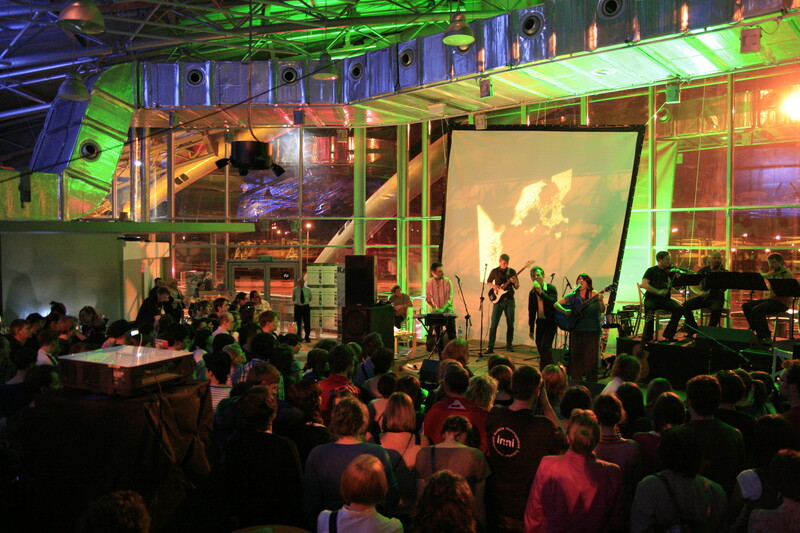 The UNESCO Creative Cities initiative was launched in 2004 and its goal is “to foster international cooperation with and between cities committed to investing in creativity as a driver for sustainable urban development, social inclusion and cultural vibrancy.” Cities are recognised in 7 different categories: Crafts & Folk Art, Design, Film, Gastronomy, Literature, Media Arts, Music. Katowice joins Bogota (Columbia), Seville (Spain), Bologna (Italy), Glasgow (Scotland), Gandawa (Belgium), Brazzaville (Congo), Hamamatsu (Japan), as well as Mannheim and Hannover (Germany) to be the newest UNESCO City of Music in the World and the only in Central and Eastern Europe. All things considered it is quite astounding how in little over 50 years Katowice has gone from being considered a cultural backwater to one of the most dynamic and interesting musical cities in the world. “The UNESCO Creative Cities Network represents an immense potential to assert the role of culture as enabler of sustainable development,” declared the Director-General. This statement especially rings true for Katowice which has been going through a massive transformation from an industrial hub to a post-industrial haven for innovative festivals, concerts, and projects across numerous genres. These days, the first thing that comes to most people's minds when they hear the name Katowice is the hugely popular music festivals the city annually plays host to. 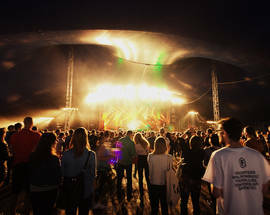 The Off Festival and Tauron New Music festivals have both been going for over a decade and are now two of the biggest alternative and electronic music festivals, respectively, in Europe. 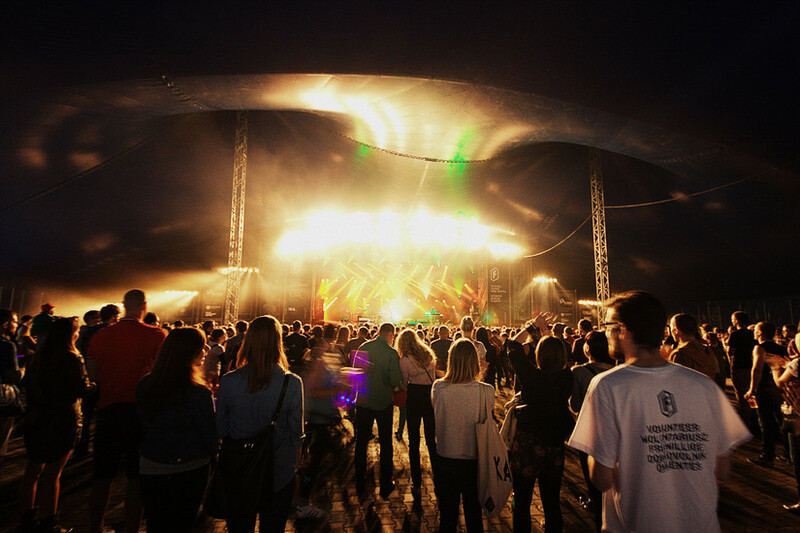 Each attracts hundreds of thousands of international festival goers every August to Katowice and both are consistently voted as top European music festivals by music magazines and blogs. If you are a fan of the Blues you may have also heard of the Rawa Blues Festival which has been held in the Spodek for the past 35 years and is the largest indoor Blues festival in the world. 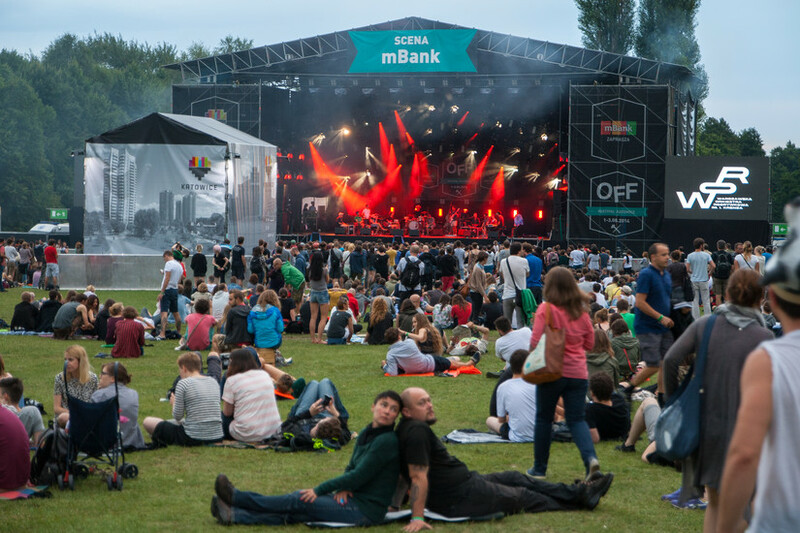 This festival, above all others (there are now over 30 music festivals held in Katowice every year), embodies the spirit and energy of the region as Silesia has long been a hotbed for Blues as well as classic R&B-derived Rock & Roll. 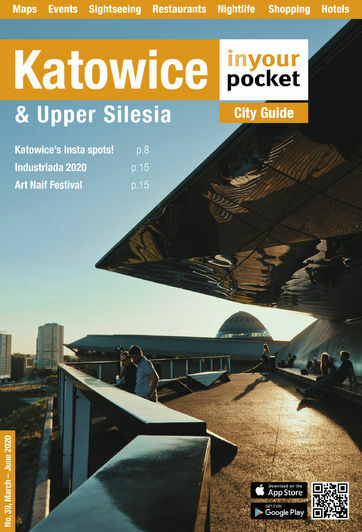 While these three festivals certainly have played a huge role in the growth of the city’s musical identity and popularity, it is perhaps the city’s homegrown classical music scene that finally got UNESCO’s attention and solidified Katowice’s position in this exclusive club. Way before indoor or outdoor music festivals were all the rage, Katowice was renowned for producing some of the most talented contemporary classical composers in all of Poland. Specifically there are two names that rise high above the rest: Henryk Górecki and Wojciech Kilar. While neither were officially born in Katowice, both ended up studying and later teaching and even running the esteemed Karol Szymanowski Academy of Music. Górecki took the Classical music world by storm in the 1960’s and 70’s, and then really put Katowice on the map in 1992 when his third symphony became a surprise global hit selling over a million copies. That same year Kilar also earned global recognition for his score to Francis Ford Coppola’s critically acclaimed film, Dracula. Over his whole career he composed scores for over 100 films, mostly working with acclaimed Polish directors Andrzej Wajda, Krzysztof Kieślowski and Roman Polański (including The Ninth Gate and The Pianist). Both composers fought most of their professional lives to raise the profile and quality of music in Katowice. Shortly after Kilar’s death in 2013 the square where the new NOSPR building stands was named after him. And this brings us back to the future and perhaps to the real reason Katowice received the UNESCO recognition it truly deserves: NOSPR. As the pictures will attest, this is truly one of the most magnificent music venues in all of Poland. 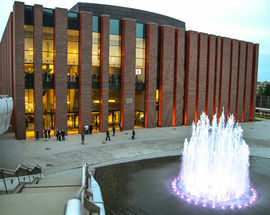 Its opening in 2014 immediately raised the profile of Katowice and provided a venue fit for some of the most talented virtuosos and orchestras of the world. But that is only the beginning of NOSPR’s mission. They have created an ambitious program that smoothly integrates many of the genres and artists that represent Katowice and greater Silesia’s diverse and rich music scene including Blues, Jazz, Rock and Hip Hop. It is no surprise then that this will be the main venue that official UNESCO City of Music concerts will take place in, the first of which will feature Flamenco from partner city Seville in June 2016. 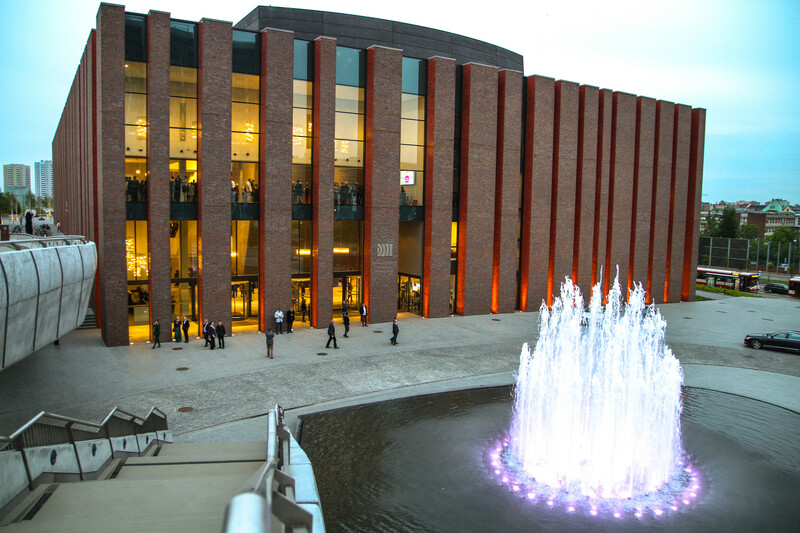 To check out all of the exciting upcoming concerts in Katowice click over to our Events section.